It’s summer in the Southern Hemisphere and that means it’s Tarawera Ultramarathon time! The New Zealand race celebrates its 10th birthday with the 2018 edition, and to celebrate, it’s turning itself around. The former finish line is now the starting line in the town of Kawerau, and the race has an interesting new finish line in downtown Rotorua. So take everything you know about Tarawera and turn it upside down–er, backwards. The race will start with its most runnable terrain first, encounter the bulk of its climbing and technicality from between 35 and 75k, and close with more runnable but still hilly terrain again. This makes the 102-kilometer race net uphill by a bit and probably a little slower than running it in the other direction. Tarawera kicks off at 7 a.m. local time this Saturday, February 10–that’s 11 a.m. MST on Friday, February 9 in the U.S. The Tarawera Ultramarathon is also the second stop on the 2018 Ultra-Trail World Tour. We’re covering the 102k race live, of course! Follow our live race-day coverage. 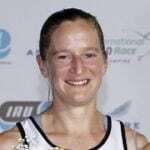 New Zealand’s Ruby Muir (pre-race interview) is back at Tarawera! She’s a two-time champion, most recently three years ago, and holds the second-fastest time on the course (2015 interview, 2013 interview). Though she keeps a pretty low profile and races local, she has international-level talent. And from what I hear, Ruby is currently fit. In December, she ran 5:24 at the iconic Kepler Challenge–about 2.5 minutes off the perhaps equally iconic course record. She’s from Italy but she lives in New Zealand, Cecilia Flori (pre-race interview) is last year’s fastest returning finisher, having taken third in 2017. Her success continued last year, as she won the Mozart 100k in Austria before returning back to New Zealand to take second to Ruby Muir at the Kepler Challenge. 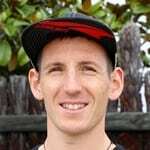 Jo Zakrzewski is not racing due to injury. 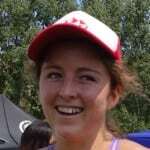 [Updated February 9] The U.K.’s Jo Zakrzewski may be better known for her prowess on flat and fast terrain, but she likes and is pretty good at trail ultras, too. I actually think Tarawera’s terrain–save for a few bumpy and rocky bits in the middle–is ideal racing grounds for her. A prolific racer of all kinds of distances and terrain, probably her best international results in the last few years have been a fifth and a third, respectively, at the 2015 and 2016 IAU 100k World Championships. Going a bit further back, she’s three times finished in the top 10 at the Comrades Marathon, including as high as fourth, twice. The USA’s Kelly Wolf did a couple things with her running in 2017: raced a lot longer distances than she had been previously, and raced internationally. And here she is again. Her top runs last year were a second place at the Speedgoat 50k, fifth at the CCC, and ninth at The North Face Endurance Challenge 50 Mile Championships. She’s starting her 2018 early, and I’m eager to see where she takes her racing this year. Since the USA’s Amanda Basham came onto the trail-ultra scene a few years ago, she’s generally had at least one standout, national-level performance each year, her far-and-away best being fourth at the 2016 Western States 100. Last year’s top result was a win of the UROC 100k. She’s taken her racing abroad at least once, having finished 17th at UTMB last year. The USA’s Dylan Bowman (pre-race interview) doesn’t need much of an introduction these days–and he helped host some iRunFar interviews last December at the TNF 50, so there’s that, too. Ever the pro, when Dylan shows up, expect him to show up at his best. His 2017 resume included a win at the 100 Miles of Istria, fourth at the Speedgoat 50k, and seventh at UTMB. In December, DBo was primed to race at Ultra-Trail Cape Town but dropped early because he started the race sick. He’s trying to turn around that fitness after a short down spell to start 2018 off early. It makes good sense that he’s coming back with Tarawera as he won its 2015 edition. The USA’s Cody Reed should contend for the win. 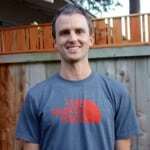 His best performances of the last couple years have been a win of the 2016 Tamalpa Headlands 50k, a win of the 2017 Way Too Cool 50k, and 15th at the 2017 IAU Trail World Championships. New Zealand’s Sam McCutcheon is last year’s fastest returning finisher, having finished third. After his podium here, he had a fine 2017, with his top performances being a win of the Buffalo Stampede Ultra SkyMarathon and a win of the Kepler Challenge. He did take his racing international a couple times last year, with his best finish being fourth at the MaXi-Race Annecy. Vlad Shatrov, of Australia, will be interesting to watch. His top results of 2017 are a win of the Six Foot Track and another win of the Great North Walk 100k. He’s also a 1:08 half marathoner and a 2:18 marathoner, so he’s got wheels. Lithuania’s Vaidas Žlabys, who is this guy and where did he come from? He seems to be on the upswing from performing well regionally to taking things international in the last year. In 2016 and 2017, respectively, he finished eighth and then second at Transgrancanaria. Also in 2016 he was 20th at the IAU Trail World Championships. David Byrne [Updated February 6] David Byrne is no longer racing. Who do you think is primed to win in New Zealand? Anyone that you think will surprise the world this weekend? Know of any major contenders who won’t be racing or are coming in at less than 100%? Anyone that we should add to the preview? Martin Kern lives in New Zealand. Which is not a part of Australia contrary to popular belief. Thanks for letting us know. I wasn’t sure exactly where Martin has been living. Cody Reed got 2nd in Bandera 100K this January which was impressive. It should be listed. Dawn Tuffery is the 2017 (current) New Zealand 24hr Track Race champion (overall). Spotted a typo in Dylan’s recap for 2017. It says 2018. Thanks for all your hard work bringing us the world of ultra running!! Thanks for the catch, Cary. Corrected!